In need of a WooCommerce product display plugin? You’re in the right place! In this post, I’m going to introduce you to the best such plugin in the market, plus show you how to use it, step by step. Why do you need a WooCommerce product display plugin anyway? WooCommerce is a great tool, it truly is. But like with most products, there are some chinks in its armor. For instance, one area where WooCommerce falls a bit short are the available options when it comes to displaying your product catalog in full. Well, when I say “options” … there actually aren’t any. What you do get is just one default view that you can customize only slightly via WordPress Customizer. Doing more in-depth modifications is basically a nightmare if you don’t have any coding or WordPress/HTML knowledge. In itself, it’s a nice presentation for a standard retail store where each product should get a small portion of the spotlight. But it’s not optimal for all business scenarios imaginable. This is where the WooCommerce Product Table plugin comes into the picture. The plugin gives you an additional way of displaying your product catalog – it doesn’t replace the default one. You can still use the old catalog view on your website as well. The plugin doesn’t alter the individual (single) product pages. However, you can add product tables to the single product pages if you wish to. Read here for more info. 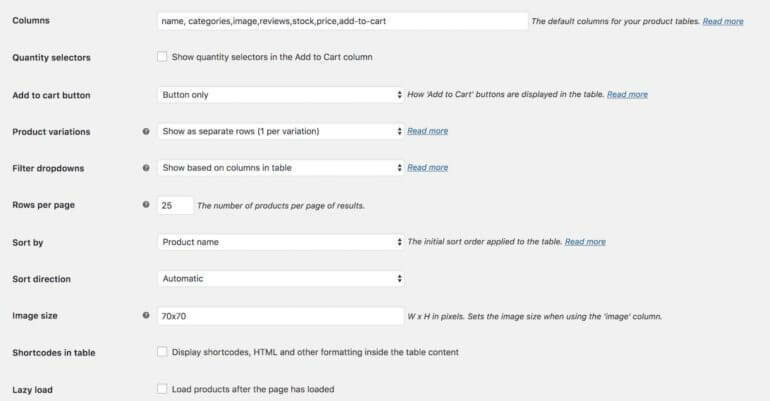 You can put a product table on any post or page, and you can use multiple such tables. It comes with a search field (which works as you type) and a filtering mechanism. You can also sort by any column. It inherits the styling from your current theme, matching the rest of the website. It’s fully responsive and mobile-friendly. It works on multilingual WordPress sites. You can include/exclude certain products or product categories. 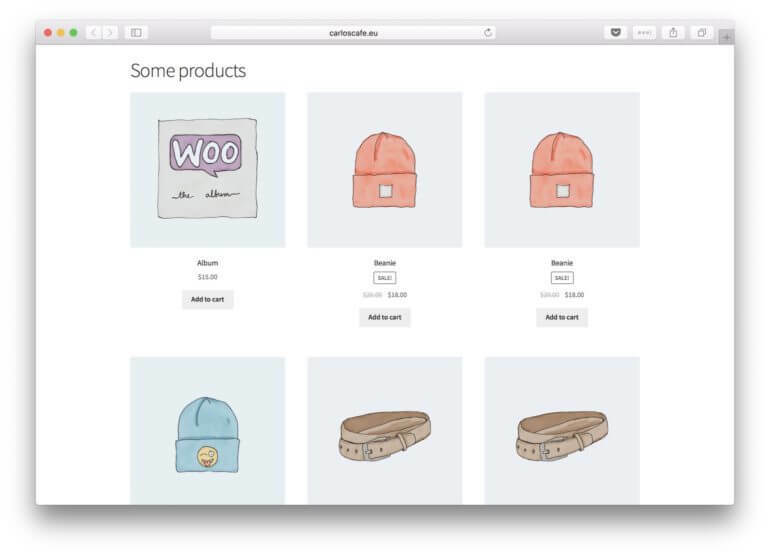 First off, the more products you have in your store, the more you’ll enjoy WooCommerce Product Table. Additionally, the plugin helps you handle all the product variations that you might have in your store. For instance, you can display those variations as individual rows in the table. Tables are much better at showcasing similar products, since they’re much easier to scan through than a grid view. Not to mention that the buyer can filter through the variations with a couple of clicks (see the animated GIF above). Wholesale customers usually expect different things than retail customers. Most importantly, they don’t want to be forced to have to scroll through pages upon pages of product listings. They also probably already know what they want to get, and how much of it. And finally, they want to get as quickly through the process as possible. A product table works great for that. Everything is in one place, and the customer can buy multiple items at once. We have a separate guide on how to build a WooCommerce wholesale store. A WooCommerce product display plugin is great when your customers are already familiar with your products and just want to get their hands on them as soon as possible. This can happen when you’re marketing to returning customers through an email campaign or social media ads. 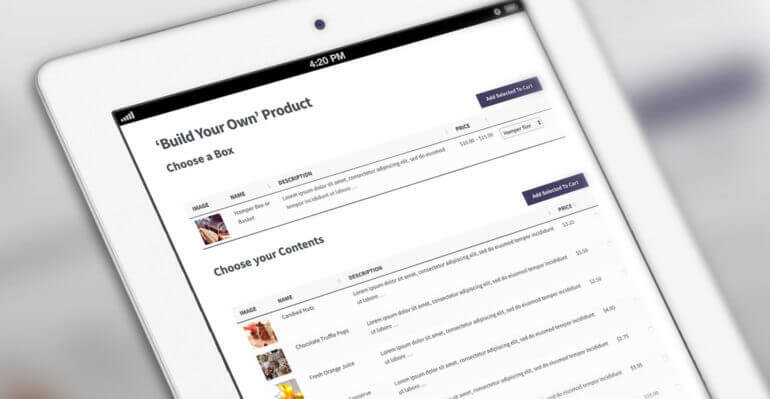 With a customizable product table, you can pick the exact product category to display, put it on a certain page on your site, and then send people directly to that page. If you have certain products in your offer that often go out of stock (due to popularity), you can put all those products in a separate category and then display that category on a separate page inside a product table. Since the products are already popular, your customers will probably not need any additional convincing why they should get them. 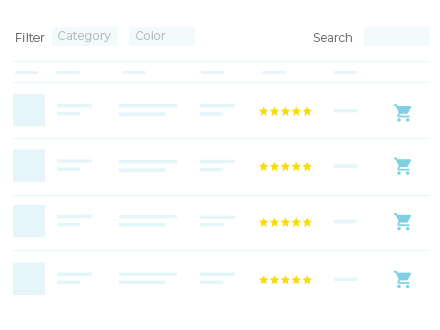 As an added bonus, the WooCommerce product display plugin lets you show stock as a separate column, which should help the cause as well. Office supplies, workshop supplies, construction supplies, etc. If you’re in a business like that, displaying all your products as a table can be much more efficient than using a grid display. Let’s face it, no one under the sun is particularly interested in looking at an individual sales/product page for some sticky notes or a pair of scissors. The table display also makes things easier when buying multiple products – which usually does happen when we’re talking supplies. 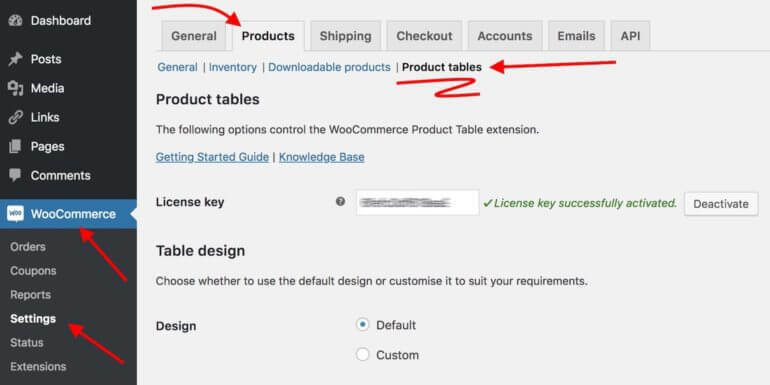 A table-based WooCommerce product display plugin can be an interesting alternative when selling anything that’s made up of a number of individual elements that the customer can adjust/select. We’re basically turning that product table into a functional product configurator. A pizzeria, for example, could use a separate webpage for online orders. On it, they can put a product table that lists pizza toppings (like pepperoni, tomato, olives, chicken, etc.). This lets the customer get their ideal tailor-made pizza. Interested in building a configurator? Here’s our step by step guide. Display your products quickly and easily today! You will be able to download the plugin from your order confirmation page. Save the ZIP file with the plugin to your desktop. Take note of your license key. Log in to your WordPress dashboard, go to Plugins → Add New, and click the Upload Plugin button that’s at the top of the page. Select the ZIP file of the plugin from your desktop, and click on Install Now. Then click on Activate to finalize the process. The first thing you need to do is enter the license key in the very first field (see above). Click on Save changes to enable the plugin fully. At this stage, you can begin configuring how exactly this WooCommerce product display plugin is going to go about displaying your products. Most of the options on the page are pretty self-explanatory, plus you can click on the Read more links next to each one. Visit the complete list of plugin options here. This shortcode is going to be turned into an actual table once you save/publish your post/page. Here’s a complete list of all the ways in which you can modify the main shortcode. WooCommerce Product Table displays products in a tabular list. 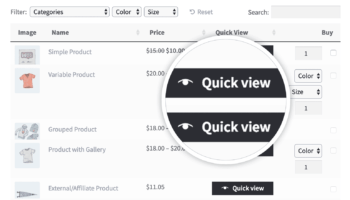 You can build on this by using it with its companion plugin, WooCommerce Quick View Pro. This lets you add quick view buttons and/or links to the list of products. Customers can click on them to view more information, the full product image gallery, and even choose variations and add to the cart from a quick view lightbox. You want to display extra product information that doesn’t fit within the table layout. There are too many variations or options for each product to neatly fit into the product table. 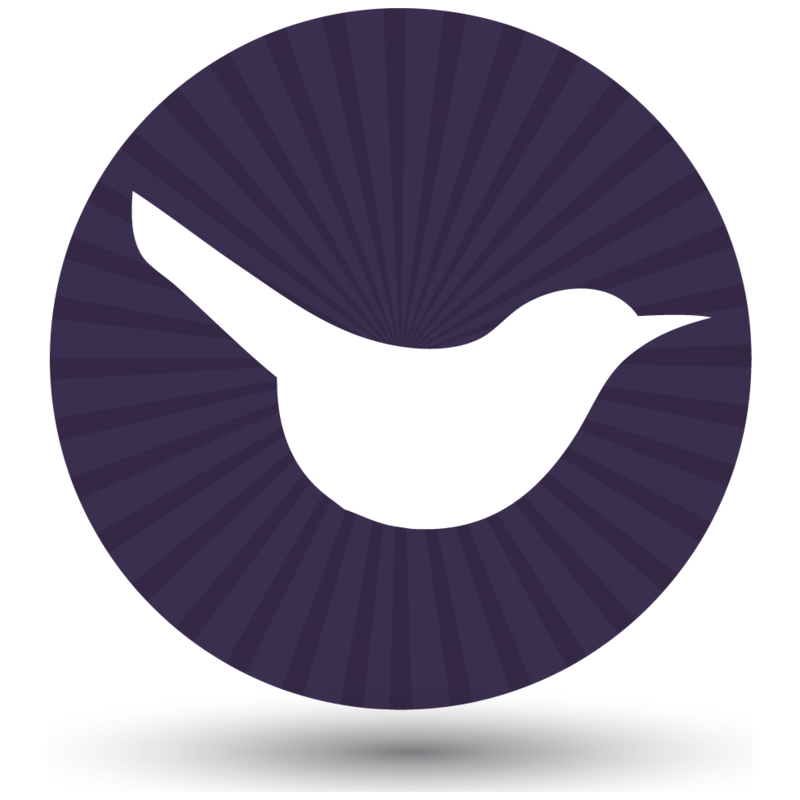 Want to learn more about what this WooCommerce product display plugin can do? Check out our knowledge base.